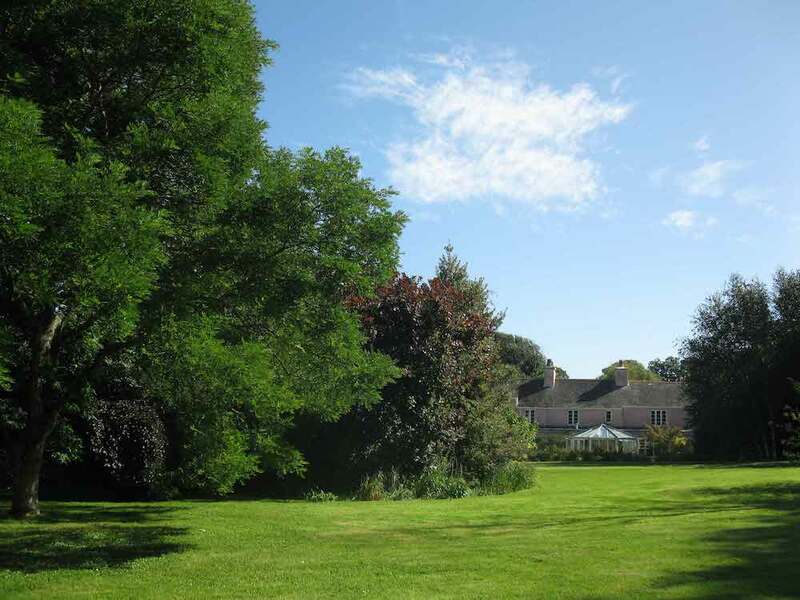 Let me tell you about this beautiful little bolthole for grown-ups, in a bucolic setting, just a short stroll from the beach. 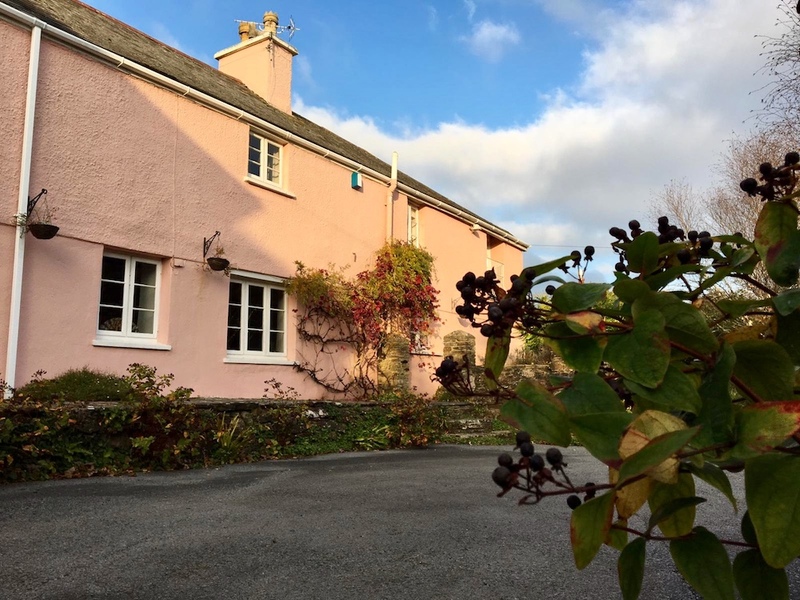 Want to see what befalls an 18th century farmhouse, when a couple with oodles of knowledge of hotels, food and drink, relocate to south Devon? Step inside Hooppells Torr B&B and come and meet Simon and Jeeva, they’re expecting you. B&Bs have come a long way, haven’t they? A far cry from the net-curtained, chintzy wallpapered seafront digs of a bygone era, I often prefer them over hotels these days. 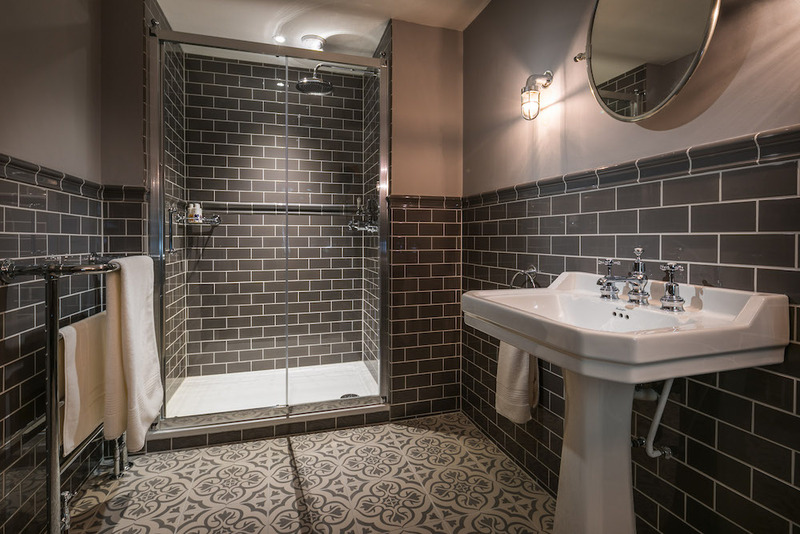 If you beg to differ and you’re a hardened hotel aficionado, then book yourself in for a little overnighter at this stylish twenty-first century offering, encased in a pretty, period shell and prepare to have your head well and truly turned. 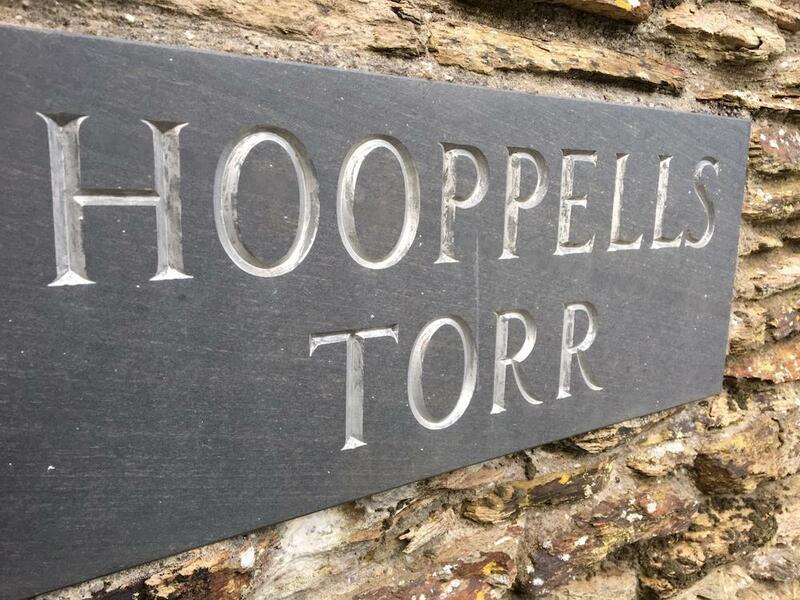 Hooppells Torr is a real find, completely off the beaten track, in a peaceful rural setting, while being tantalisingly close to a ‘secret’ beach. 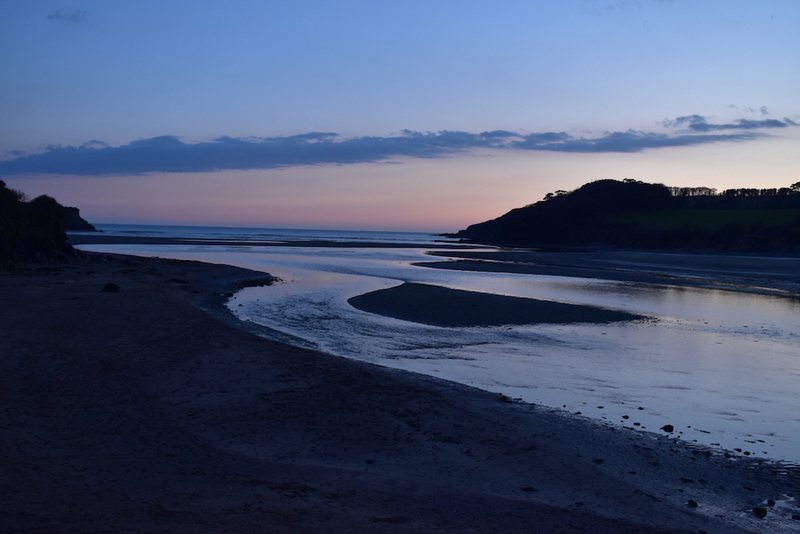 The journey to it, as with most of south Devon’s beguiling spots, can be ‘interesting’, if you take the scenic route and you’re an out-of-towner and not used to the single-track lanes of Devon. But, a bit of breath-holding (*cursing, if you’re me), along with the odd mission reversing into passing places is so worth it. Arriving at this easy-on-the-eye pastel pink farmhouse in the village of Kingston is like the pot of gold at the end of the rainbow. 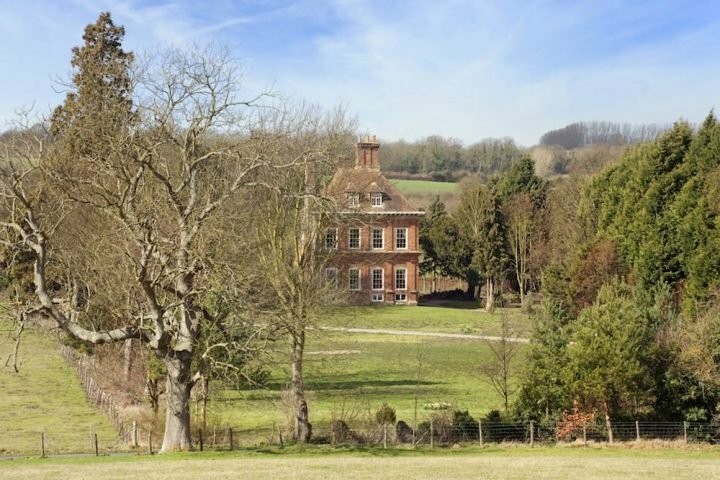 The B&B is the work of a couple who, like so many, ended up frazzled by London’s frantic pace, so upped sticks and headed west, craving the peace and tranquility of a rural idyll. 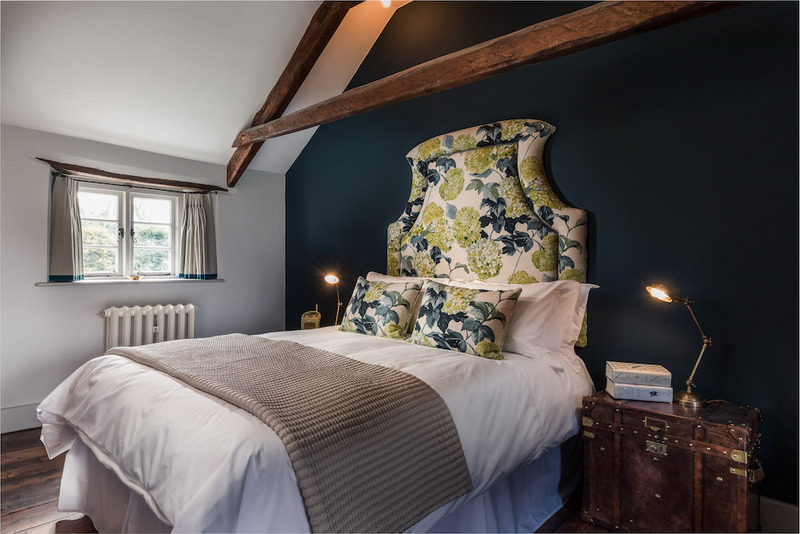 As well as discovering the perfect place to raise their young son, Simon and Jeeva joined forces and put their skills and passions to good use, painstakingly transforming their new home into a boutique B&B. It turns out that a previous career in hotel operations and consulting, working with some of London’s swankiest hotels (Jeeva) and a love of food and drink (Simon) are about as useful as it gets in a situation like this. Who knew?! Allow me to present argument #1 in favour of The B&B: some of them are so tastefully put together that you can totally pick up some cracking interiors inspo for your own home. 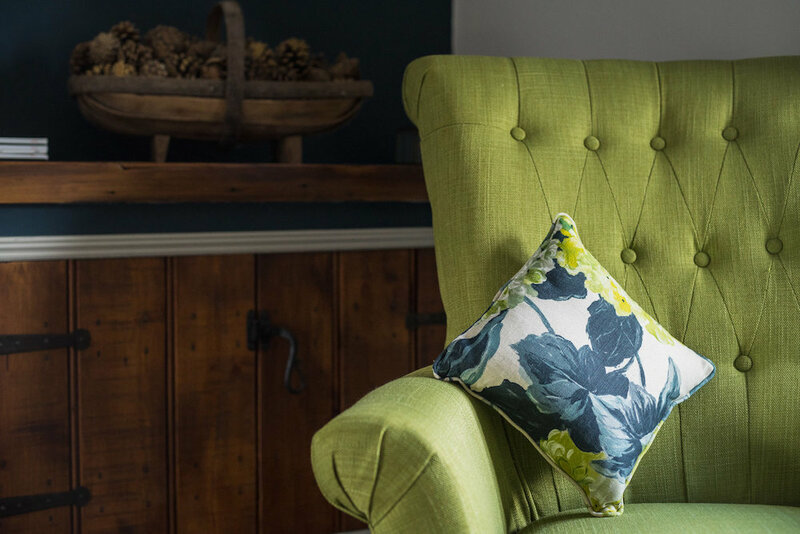 Many B&B owners, unrestricted by cookie-cutter design schemes where budget takes priority over beauty, really unleash their creative streaks when it comes to decor and this is true here. This is a place with some personality – and don’t worry, we’re not talking the kind where the owner’s collection of 360 teddy bears dominates – bespoke pieces and exotic accents blend with the farmhouse authenticity. 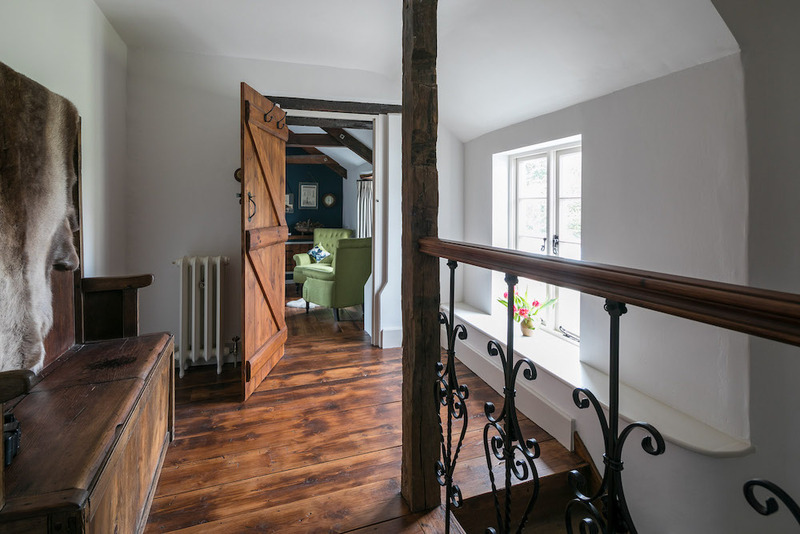 Dark wooden floors and rustic beams run throughout, but each of the rooms offer something very different. Case #2: you’re likely to be on the receiving end of a much more personal service. Here, you’re given tea and cake and a very warm welcome on arrival (Simon and Jeeva are lovely) and that pretty much sets the mood for the rest of your stay. We were very lucky to arrive just as their latest experiment, a Danish Dream Cake (I *think* that’s what it was?!) had come out of the oven and we were more than happy to be chief tasters, washed down with a cuppa. It’s a winner, whatever it was. There are just two rooms, nestled in their own little wing of the house, with a separate entrance, so you get the best of both worlds; a homely vibe, whilst it feels like your own secluded space. Whether you plump for Pondicherry or Hydrangea, you’re in for a treat. We stayed in the latter, which is right up my street. Lots of wood and dark blue walls punctuated by soft greens. 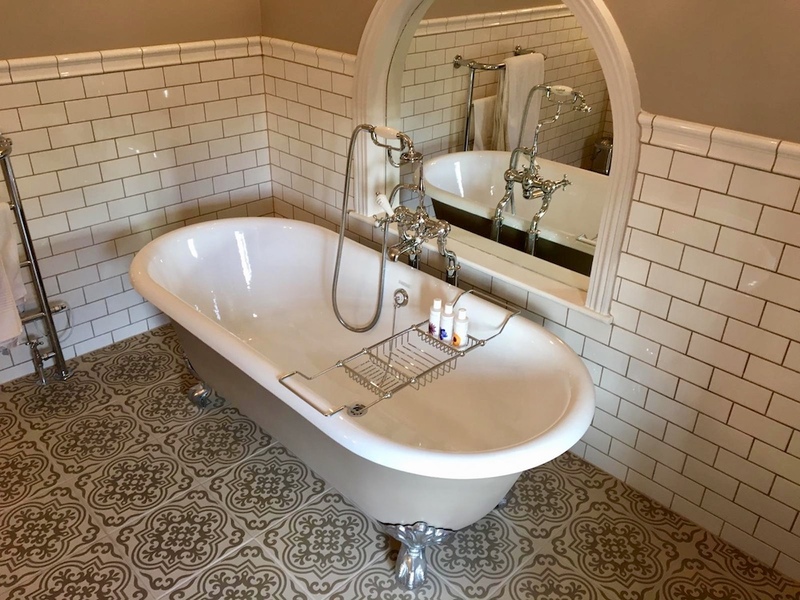 A kingsize bed dominates, from which you can gaze out to the garden and the bathroom is a nice big space with a beautiful cast iron bath; basically, all the ingredients for some serious downtime. Pondicherry is a definite nod to Jeeva’s roots, with its sunny, warm orange colour scheme and lots of Indian accents. Decor aside, the only difference between the two rooms is that here, you don’t have a bath…but you do have a massive rainforest shower. 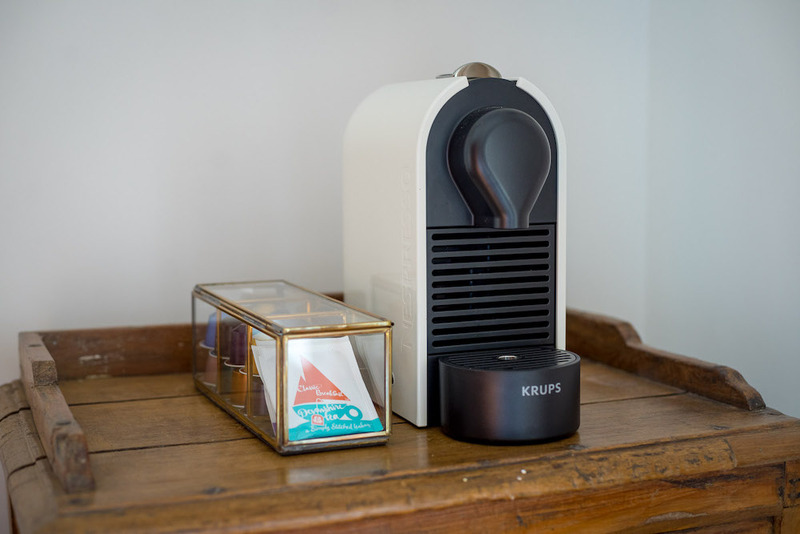 The unifying consistency across the two is the high quality and luxurious touches – you’ll find no Ikea bulk-buys here. 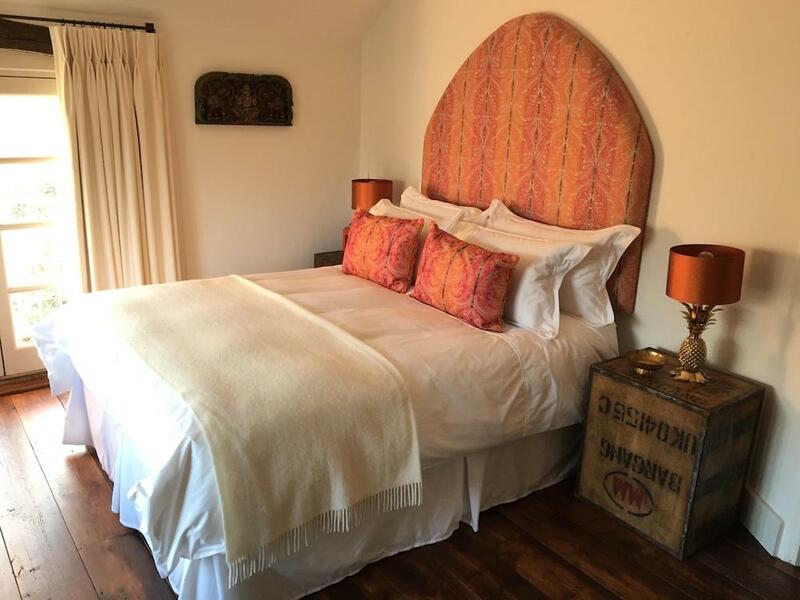 What you will get is Egyptian cotton, goose feather bedding, plumpy armchairs, lightning-fast Wifi, Nespresso coffee machines, Roberts radios, freshly cut flowers from the garden, glossy magazines and Bramley goodies in the bathrooms. Oh, and barely any passing traffic, which equates to a solid night’s sleep, I’m very pleased to report. You know when you can’t quite put your finger on why it all hangs together so well? There is something subtle about Hooppells Torr that reassures you this is run by a couple who really know what they are doing. There’s no restaurant here (the clue’s in the B&B bit), but there is a sunny conservatory to eat breakfast on a chunky communal table, with pretty views out to the gardens. 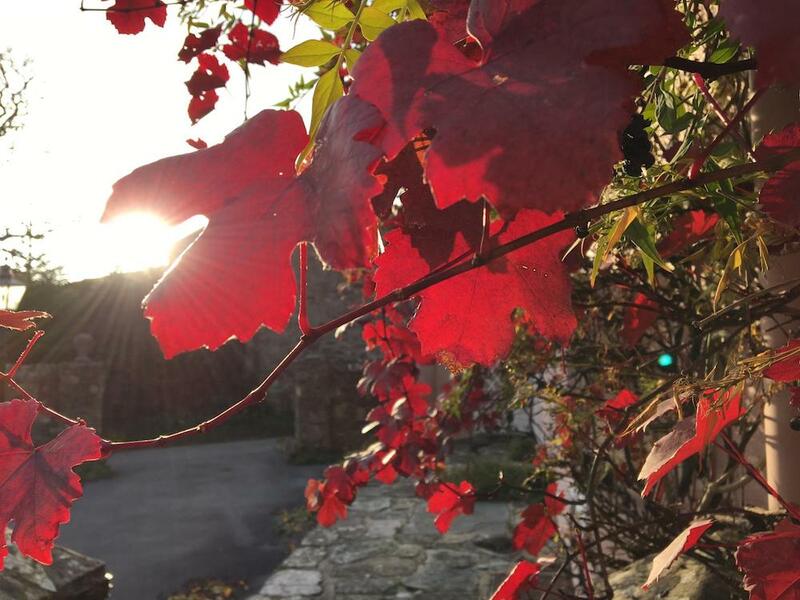 I can only imagine the explosion of colours and scents through the seasons, there’s plenty of space to wander – an acre of gardens, with a further five with orchards for exploring – and you’re very welcome to. 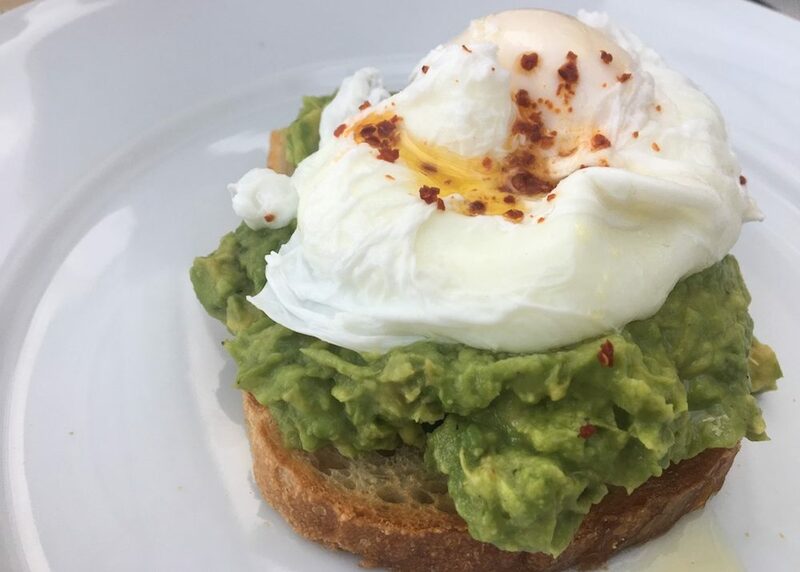 Breakfast is scrumptious and thoughtfully put together, with plenty of local juices, cereals and toppings for toast, plus a cooked offering, depending on whether you fancy a traditional AGA cooked English (which Mr Muddy gratefully got his chops around), or the speciality poached eggs on smashed avocado. Ingredients are mainly as local as possible, or homemade, so what’s not to love? One exciting piece of news for 2019 is that Simon, with new wine qualifications and a license, will be offering wine flights with a cheese board from around springtime. I’ll just leave that little carrot dangling, shall I? Yes. 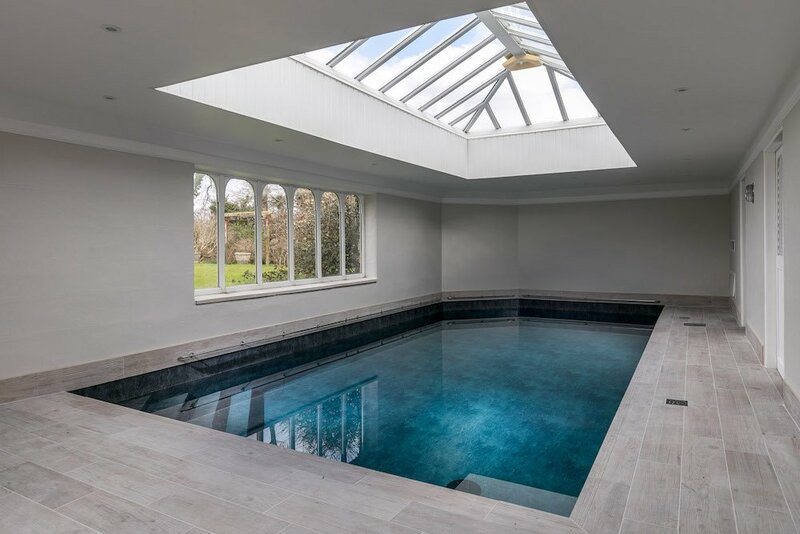 A heated saltwater pool. Now you don’t find many B&Bs offering that, do you? As if things couldn’t get any more laidback, you can feel free to slip on the robe and slippers in your room and take a dip in the warmer months (May – September) which, I can imagine, might be just the thing to wash away a day stomping the coastal path, or soaking up the sunshine on the beach. Firstly, you’ll want to know what your options are for dinner and, happily, there are plenty. If you want to head out by foot, then you’ll be pleased to know that the local village pub in Kingston, The Dolphin Inn, is recommended. 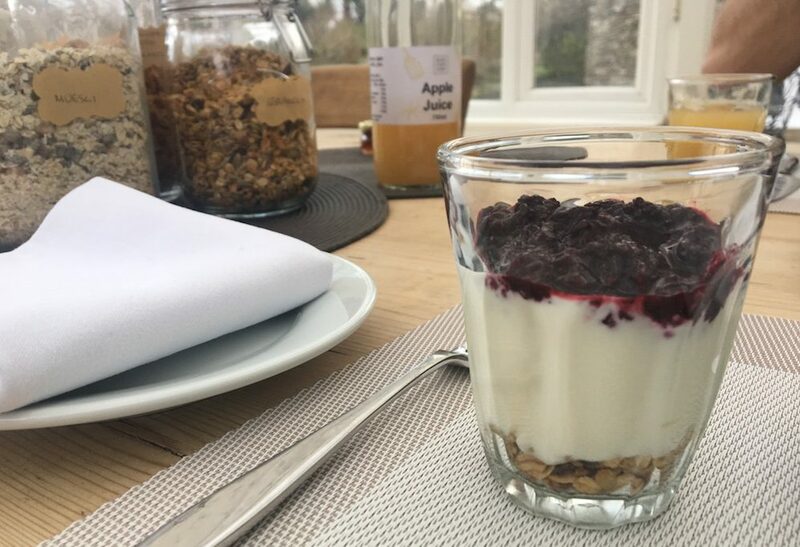 We didn’t visit this time, instead opting to drive to nearby Ringmore and try out the award-winning Journey’s End Inn and we weren’t disappointed. A traditional old 13th century pub, inside the welcome is warm, the food fantastic and the choice of ales, according to Mr M, more than satisfactory. Beyond pub-hopping, you’ll find that this part of the world is alluring in all seasons, since you’re smack bang in the middle of an Area of Outstanding Natural Beauty. Even those visitors who plan to remain horizontal for the duration won’t be able to resist blowing the cobwebs away with a stroll to the sands of Wonwell beach. It’s just one of several secluded little coves you can visit, along with the bigger, more well-known stretches like Bigbury, looking across to Burgh Island. Yes, there are lots of lovely towns for browsing and attractions to explore, but for my money you’re best off planning a few scenic walks, punctuated by some great grub and you’ll have the ideal weekender. Good for: Couples, romantics, frazzled brains needing a reboot; walkers up for exploring; foodies who want a choice of decent options for eating out in the area. Not for: Those spooked by not being able to walk into a town. It’s peaceful here for a reason – and everything’s accessible by car. 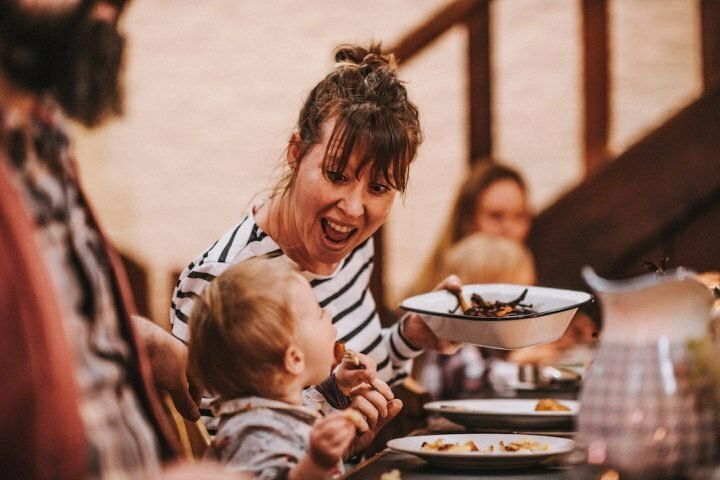 Hooppells Torr doesn’t accept children under 14, so book a babysitter and make the most of some child-free time! ££: And the final plus for the B&B – it’s pretty affordable! Our room costs £155 per night, including breakfast, while Pondicherry costs £145. Since you get many of the luxuries of some high-end hotels here, I rest my case. Sounds lovely, is it dog friendly?